Convert football fans into business clients. Shop schedules for 50+ pro and college teams. Score impressions and catch clients all season long. 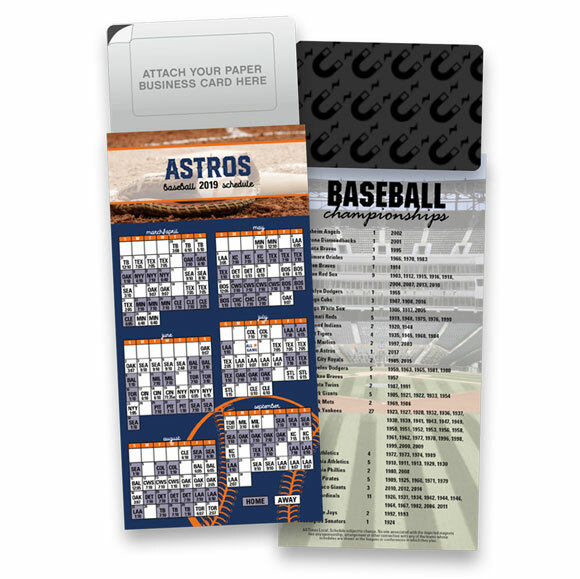 Choose from 30+ pro baseball teams. Featuring two different racing series, racing fans are sure to remember you all season long. 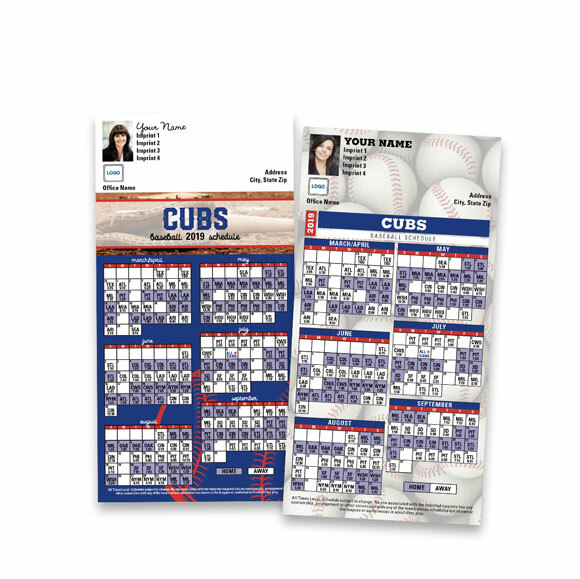 Add your own personal message and business information to a coordinating insert that features the home team. Recipients will love seeing their team featured boldly on the envelope as they reach into the mailbox! Always a hit with clients and it generates calls. A quick note to say thank you for a job well done. I ordered a football schedule magnet that I wanted to customize with my logo on top. Your team made it happen with ease. They were willing to work through a number of edits until I was completely satisfied. The magnet has been a success with a number of people taking the time to reach out and thank me. I would highly recommend your company to others. Our team has used Magnet Street for over 15 years - because it is the best quality for the money. The magnetic calendars are a superior design. (They don't fall apart like others). Ordering process is easy. Quick delivery turnaround. Prices reasonable. Product really high quality. I've been getting sports schedules from MagnetStreet for years and will continue to do so! Their team may not always win—​but your marketing will. Win or lose, fans follow their favorite teams with loyal passion. 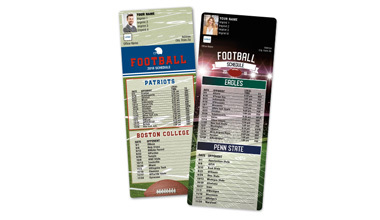 Capitalize on that passion by packaging your marketing into something they’ll look at and use all season long: a magnetic schedule of their favorite team. 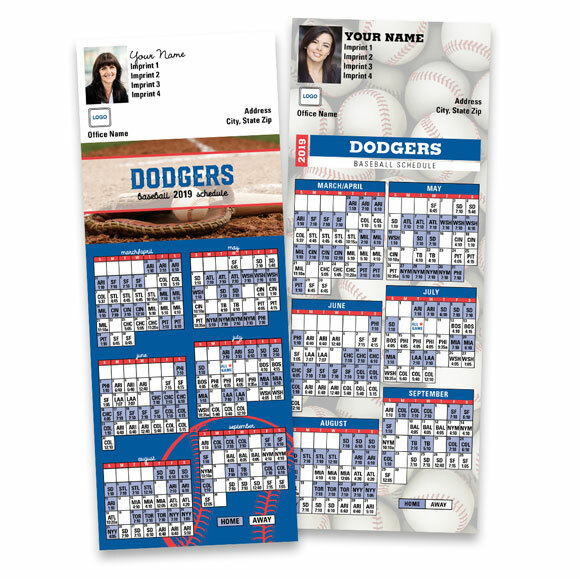 Personalized with your photo, logo and contact info, Sports Schedule Magnets interact with your clients all season long—offering countless opportunities for lead conversion, customer retention and brand awareness. Each season our in-house graphics team creates modern, professional Sports Schedule designs that deliver high impact and style. 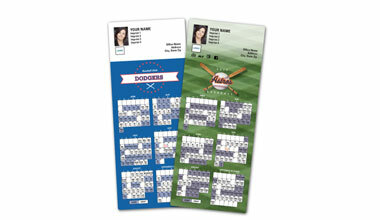 Using innovative printing technology, we custom-print each promotional Sports Schedule in vibrant, full color. 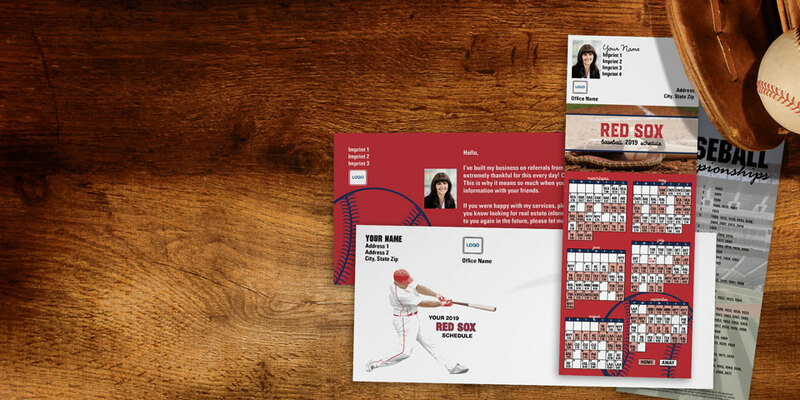 Our sports schedule designs come with extensive customization options. 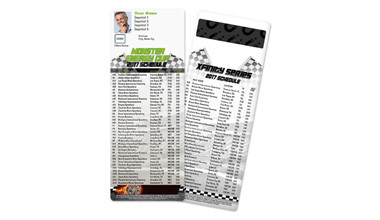 Personalize any schedule with your name, photo, business logo, and contact info. For a polished look, personalize the font and colors to match your professional brand image.